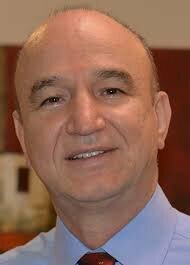 Professor Reza Rezaee of Curtin’s Department of Petroleum Engineering has a PhD degree in Reservoir Characterization. He has over 26 years’ experience in academia being responsible for both teaching and research. During his career, he has been engaged in several research projects supported by major oil and gas companies and these commissions, together with his supervisory work at various universities, have involved a wide range of achievements. During his research career, he has led several major research projects funded by various oil and gas companies such as WAPET, WMC, MESA, Santos, NIOC, PEDEC, Devon Energy, DMP, Buru, Woodside, Carnarvon, Norwest and Anlec. He has received a total of more than $2.2M funds through his collaborative research projects. He has supervised over 70 M.Sc. and PhD students during his university career to date. He has published more than 130 peer-reviewed journal and conference papers and is the author of 4 books on petroleum geology, logging and log interpretation and gas shale reservoirs. His research has been mostly on integrated solutions for reservoir characterization, formation evaluation and petrophysics. Currently, he is focused on unconventional gas including gas shale and tight gas sand studies. As a founder of “Unconventional Gas Research Group” of Australia, he has established a unique and highly sophisticated research lab at the Department of Petroleum Engineering, Curtin University. This lab was established to conduct research on petrophysical evaluation of tight gas sands and shale gas formations. He is the winner of the Australian gas innovation award for his innovation on tight gas sand treatment for gas production enhancement.